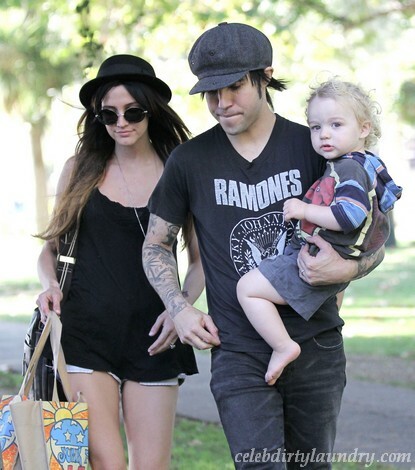 Pete Wentz & Ashlee Simpson Fighting Over Custody! It looks like a custody battle is brewing between Pete Wentz and Ashlee Simpson! When Ashlee filed for divorce, apparently she checked the box asking for primary physical custody. That’s not copacetic with what Pete wants, because he’s taking her to court! Wentz just filed legal papers in response to Ashlee’s divorce petition … asking the judge for JOINT physical and legal custody of their son. In her divorce petition, Ashlee checked the box that indicated she wanted primary physical custody. According to the docs, filed in L.A. County Superior Court and obtained by TMZ, Wentz also wants each party to pay their own legal fees … even though Ashlee asked the court to make Pete foot the bill for both sides. Ashlee Simpson Files For Divorce!